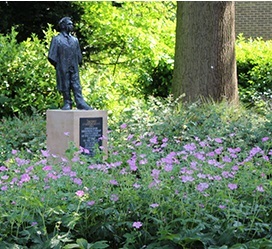 Fitz's JCR (Junior Combination Room) is the independent representative body for undergraduate students studying at Fitzwilliam College, Cambridge. We're a committee that is elected annually to represent the community to the media, CUSU and College authorities. We provide support for all students with academic, ethical, welfare and other issues and oversee a range of services including the maintenance of the Common and ‘TV’ rooms as well as most College ents. To find out more about what we do and what events we put on, contact us, access our welfare services, or just if you want to get a slice of student life at Fitz, please check out our website.